← Who’s Reading “The Dread Line” Now? Best-Selling Mystery Writer Lisa Unger! Bruce DeSilva is the Edgar Award-winning author of five Liam Mulligan crime novels including The Dread Line, in which the New England Patriots, still reeling over murder charges against one of their players, hire Mulligan to investigate the background of a college star they are considering drafting. Ethan Allen hails from mythical Kingdom Come, Vt., where the town co mmon is a baseball diamond and those who don’t play show up to watch. Here, every boy dreams of growing up to play for the Boston Red Sox, but most end up working lathes at the Green Mountain Rebel baseball bat factory, where the scores from Boston are faithfully posted on a wall that resembles Fenway Park’s Green Monster. Ethan, a lonely, fatherless child, has two dreams. One, of course, is to play for the Sox someday, and the other is to discover who his father is. He shares his dreams with a statue of his ancestor, Revolutionary War hero Ethan Allen, and does not find it remarkable that the statue talks back. Ethan looks forward to every spring, when a drifter with the legendary name Teddy Williams mysteriously appears out of the mist to teach him the finer points of the baseball. In the boy’s 17th year, the creep who owns the Boston Red Sox sells off all the team’s stars and plans to move the franchise to Hollywood after the end of a dreadful season. But the team’s manager, The Legendary Spence, somehow has his collection of journeymen on the brink of winning the pennant. All he needs to pull off a miracle is one more pitcher, for which the creep has approved the ridiculously small salary of $30,000. Enter Ethan, an unknown teenager with a fair fastball and a knee-buckling change-up. 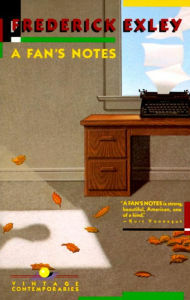 The result is a funny, wise, lyrical novel about baseball, coming of age and dreaming out loud. Mosher has often been compared to Mark Twain, but his humor is gentler, his vision of America sweeter. 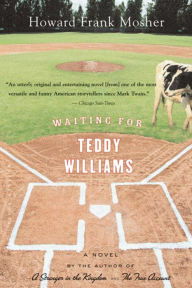 Waiting for Teddy Williams is a modern classic that should be read and reread for generations. In 1968, the year that Robert Kennedy and Martin Luther King were assassinated, college students raged against the war in Vietnam, and race riots set American cities ablaze, two great young tennis players, one black and one white, faced each other across the net at Forest Hills, NY. Arthur Ashe and Clark Graebner were friends—or at least friendly—but they had little in common, either as athletes or as men. Ashe was lithe, his game based on speed and deception. Graebner was built like a wrestler, his game based on power. Ashe was black, a Virginia native descended from a slave who arrived on our shores in chains in 1735. Graebner was of German descent, a son of white privilege from Ohio. Ashe was liberal, Graebner conservative. This little book, the yellowed Bantam paperback edition I bought in 1969 just 119 pages long, opens with Ash tossing a tennis ball into the air and smashing his serve over the net. The description of the tense match between he and Graebner is rendered in vivid detail—some of the finest sports writing you will find anywhere. But as the match progresses, McPhee intersperses the action with insightful portraits of these two very different Americans engaged in a civilized form of combat in a culturally, politically, and racially divided America. The book is a stunning achievement by one of the most accomplished non-fiction writers of the 20th century. 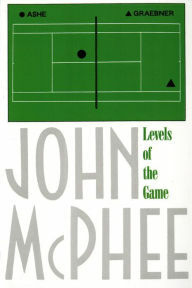 McPhee’s meticulous reporting and brilliant prose could draw a reader into any subject. He proved it by writing an amazing book about—get this—oranges, and by making this baseball and football fanatic love a story about tennis. This book, characterized by its publisher as “a fictional memoir,” is a disturbing read for a rabid sports fan like me—a dark warning about the dead end of hero worship in a culture that values hyper-masculinity. Exley describes growing up in Watertown, NY, the son of a sports-crazy father. Later, he enrolls at the University of Southern California, and it is there that he encounters Frank Gifford, the handsome, personable big man on campus who later becomes a star halfback for the New York Giants. After college, as Exley sinks into swamp of unfulfilling jobs, a failed marriage, alcoholism, depression, and psychiatric treatment, he obsessively measures his failings against Gifford’s seeming perfection as an athlete, a husband, and a beloved national celebrity. Astute reviewers have called Exley’s achievement as towering as F. Scott Fitzgerald’s The Great Gatsby. This is a sorrowful, deeply troubling book written in a brilliant idiosyncratic style. It should not be read without the solace of a bottle of whiskey close at hand. So begins what just may be the finest non-fiction book written about baseball, but it is much more than that. It is about boyhood dreams realized, about race in America, and about what life is like for great athletes as they age. Kahn tells the story of the Dodgers’ struggles on and off the field, culminating in their unlikely 1955 World Series win over the powerful New York Yankees. 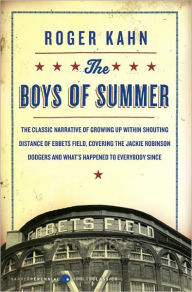 And then he tracks the post-game lives of a dozen players – stars like Robinson and Duke Snider but also bit players like Andy Pafko and George Shuba, as they adjust, most of them successfully, to life after the cheering stops. For those who love the summer game, it’s a must read. Everyone has seen the movie starring Robert Redford. Few have read the book. This is the story of Roy Hobbs, a 19-year-old pitching phenom whose dreams are shattered when a woman he falls in love with shoots him as he is on the way to join the Chicago Cubs. Years later, he resurfaces as an aging rookie slugger with the cellar-dwelling New York Knights. But Hobbs’ prowess at the plate leads them to the World Series. Everyone remembers how the movie ends: Hobbs stands at the plate with two outs in the ninth inning and one last chance to win the game. His childhood sweetheart and the child he never knew he had watch from the stands. Hobbs swings. The ball sails over the fence and crashes into the lights. Broken glass rains on the field, the music almost operatic, as the hero strides around the bases. But guess what. In the novel, Hobbs strikes out. 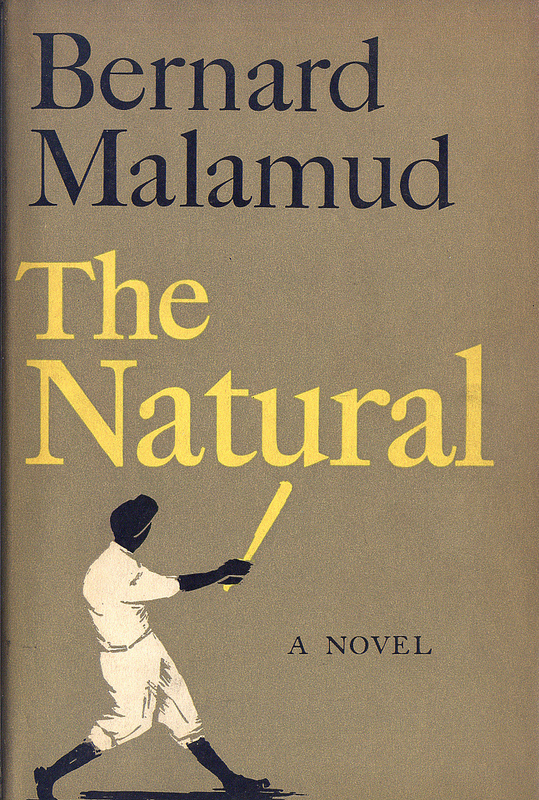 This beautifully-written novel is an astute examination of the mind of an athlete, the place of baseball in our national consciousness, and a much sadder and darker tale than the movie would lead you to believe. This is the story of “The Rumble in the Jungle,” the titanic struggle between an aging Muhammad Ali and the seemingly indestructible champion of the world, George Foreman. Mailer takes us to Ali’s training camp in rural Pennsylvania, introduces us to his hangers-on, transports us to the exotic African site of the bout, shows Foreman wowing sportswriters as he pounds the heavy bag, describes Don King and the financial side of the event, touches on the politics of Zaire President Mobuto’s dictatorship, and lingers on the hero worship of an oppressed people who see Ali as a savior. 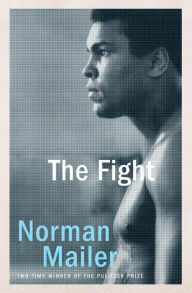 But the finest part of the book is the description of the fight itself as Foreman’s ferocity and power gradually succumb to Ali’s view of boxing as not just a physical contest but a chess match. Mailer brings both his powers as a writer and his personal experience in the ring to his vivid, meticulous, round-by-round portrait. When Ali knocked out an exhausted Foreman in the 8th round, a few disbelieving sports writers howled that the fix was in. A few years before Mailer’s death, I sat with him over drinks at a Boston writers’ conference. “Do you remember what you wrote about the claim that the fight was fixed?” I asked. This entry was posted in Uncategorized and tagged Arthur Ashe, Bruce DeSilva, Chicago Cubs, Dodgers, Dread Line, edgar award, Muhammad Ali, New England Patriots, the Natural. Bookmark the permalink.